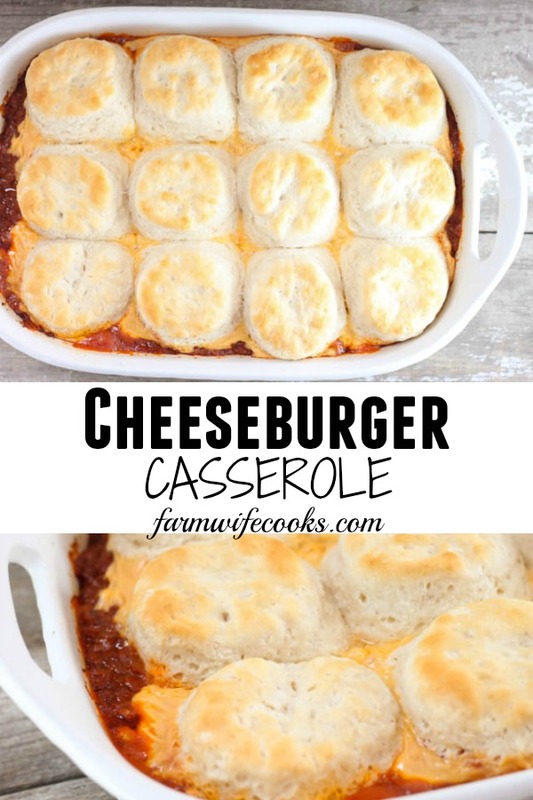 This Cheeseburger Casserole with biscuits is an easy main dish recipe that everyone will love! Cheeseburgers are a hit in our house, all of us love them. So, I knew when I saw his recipe in an old cookbook of grandmas’s it would be a hit. I made a couple tweaks to take it from good to great! 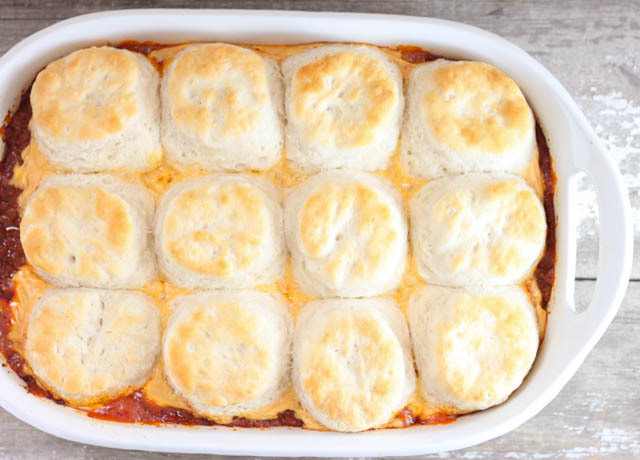 I love biscuit topped meals, I grew up with my daddy making lots of different recipes with the biscuits cooked right on top. Yum! I love all biscuits but for meals like this I prefer to use the frozen biscuits instead of the canned biscuits. 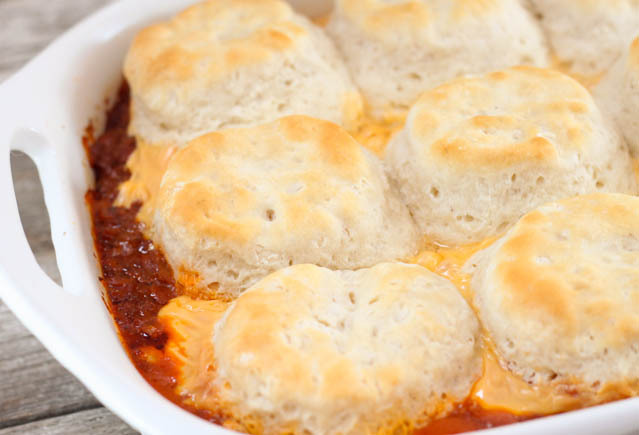 I think the canned biscuits are too sweet but use whatever you family likes! 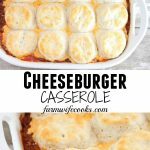 This casserole is layered like a typical burger, meat mixture first, cheese layer and then bun or biscuit in this case. The original recipe said you could use tomato sauce or tomato soup, I have made it both ways and prefer the taste of the tomato soup but the soup makes a great substitute if you happen to have it and not sauce in your pantry. You can substitute any type of cheese slice you might like, pepper jack would add some extra heat! This meal is great with a side salad but could also be served with french fries! Stir in ketchup and tomato sauce. Bake at 375 degrees for 25 minutes or until biscuits are cooked and golden brown. Thanks for sharing. this looks tasty. I’d like to make it into 2 8×8 casseroles and freeze one for later. Would I need to not add the cheese and biscuits until cooking in that case? Thanks! I think if the meat filling was cold you could put the cheese and biscuits (frozen kind) on and then wrap well to freeze.